Exercising to music isn’t new. In fact, some at the American Council on Exercise argue that it goes back several thousand years, marching and dancing to drums in tribal environments or into battle. 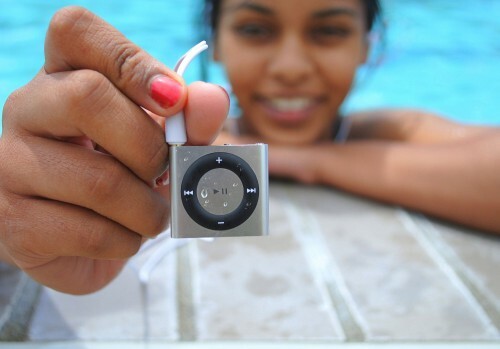 Several weeks ago we asked our followers to tell us what songs got them pumping their fastest in the pool. The response was fantastic! Your input created a unique playlist offering music of all genres to swimmers of all skill levels. So thanks everyone! Below is your first Underwater Audio swimming playlist! We want to expand on this theme of creating swimming playlists. If you have songs that relax you during a mellow swim or that get your blood pumping before a competition, let us know in the comments below!